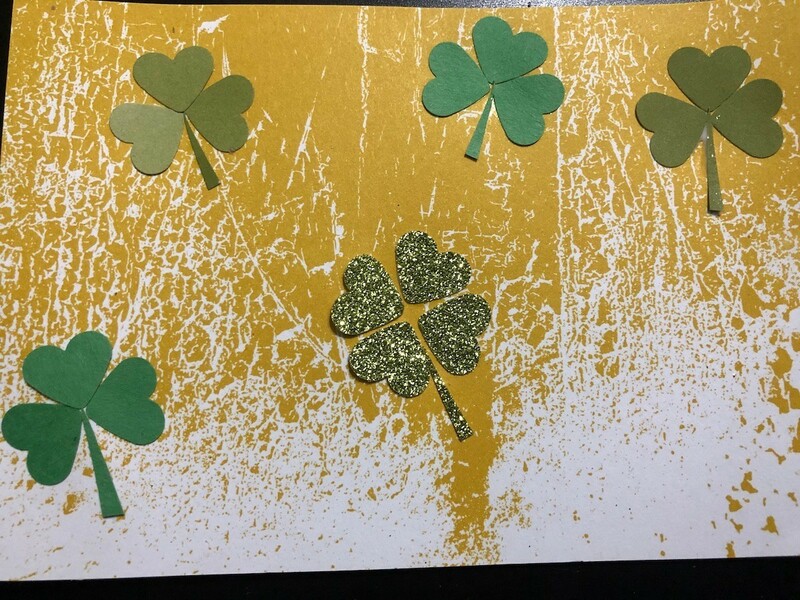 The four leaf clover is a symbol of luck and is often used in crafts around St. Patrick's Day, although not tied completely to this holiday. 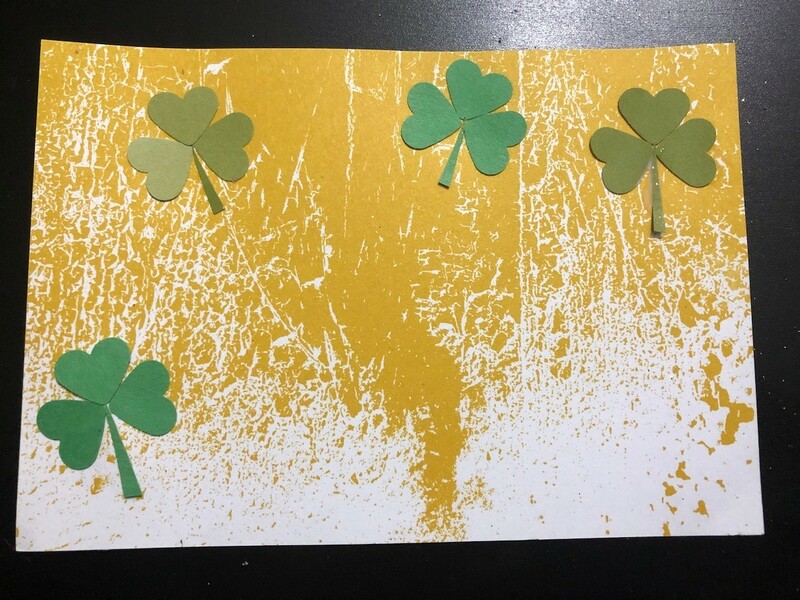 This is a guide about making a four leaf clover card. 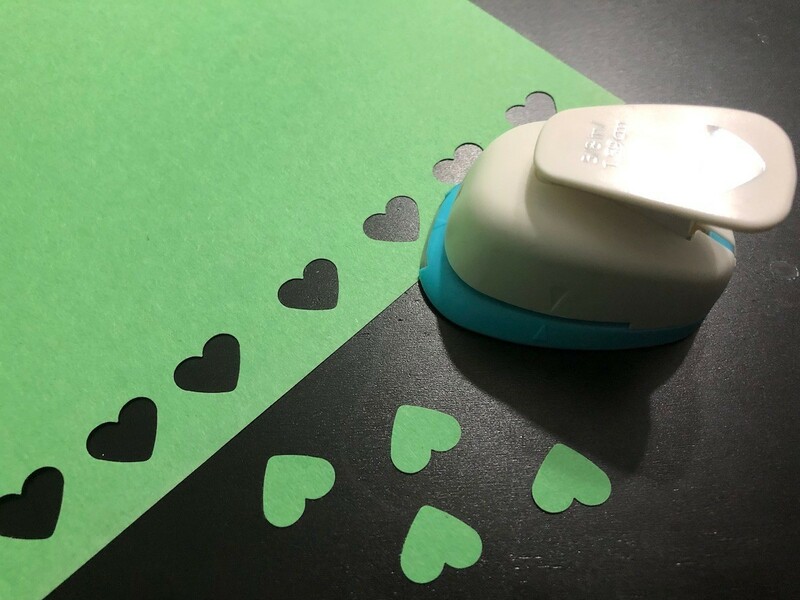 This is a fun card to make using just card stock and a heart-shaped paper punch. 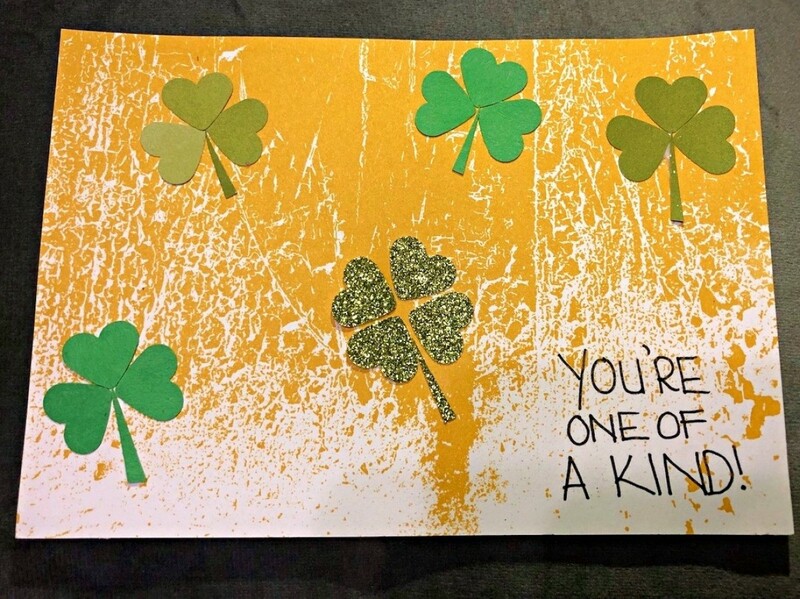 There is just one four-leaf clover, making it (and the card recipient) one of a kind! 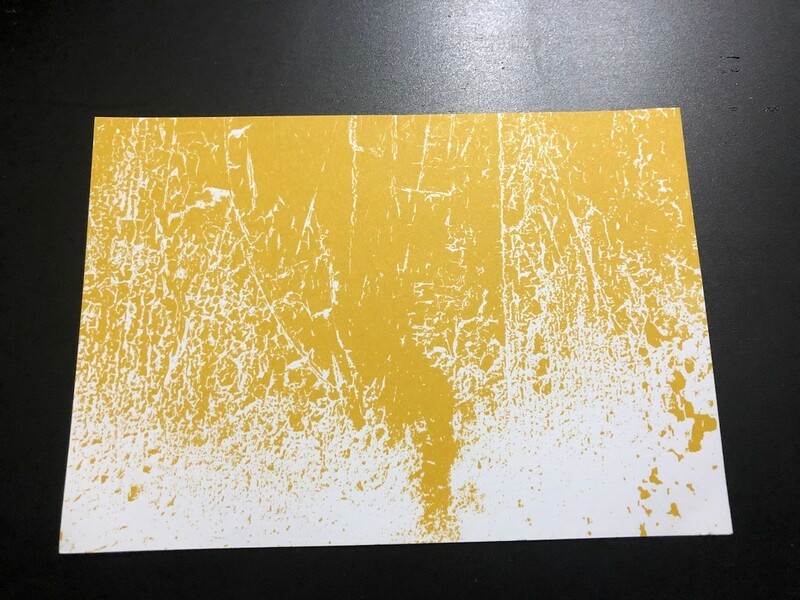 Cut the yellow paper to the desired size for your card base. 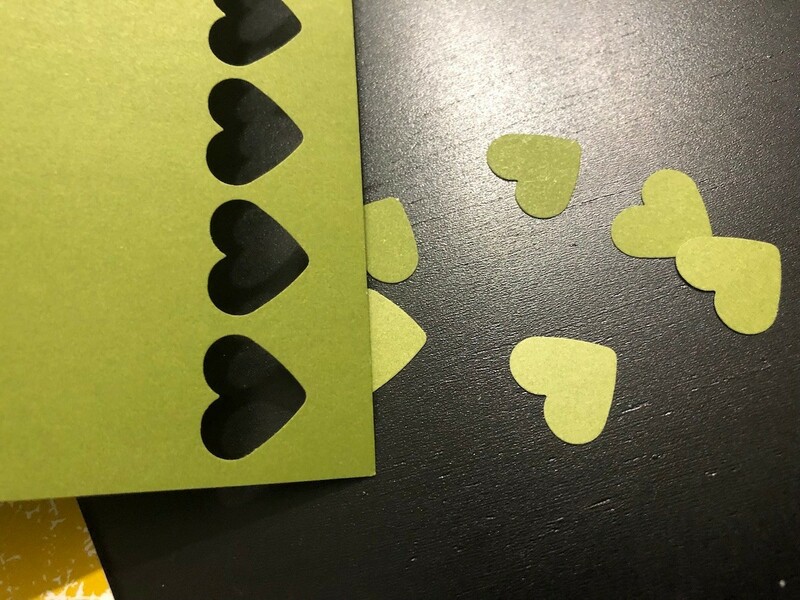 To make the clover leaves, punch out a bunch of paper hearts in green paper. 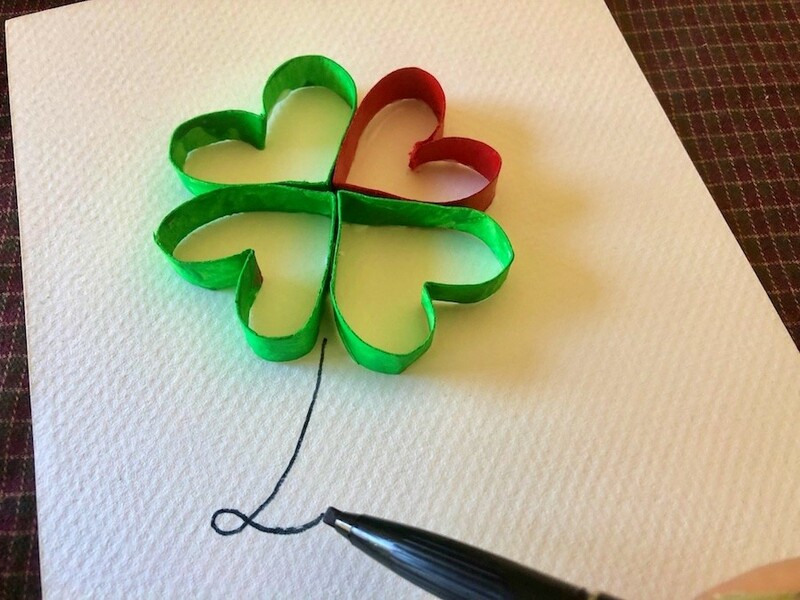 Snip off some small strips of paper from the corner of the paper to make clover stems. 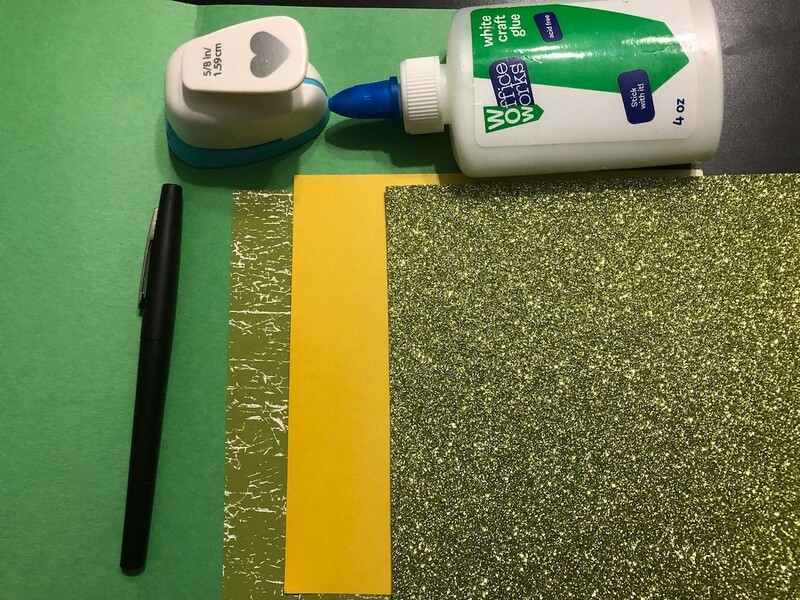 Repeat with other shades of green paper. 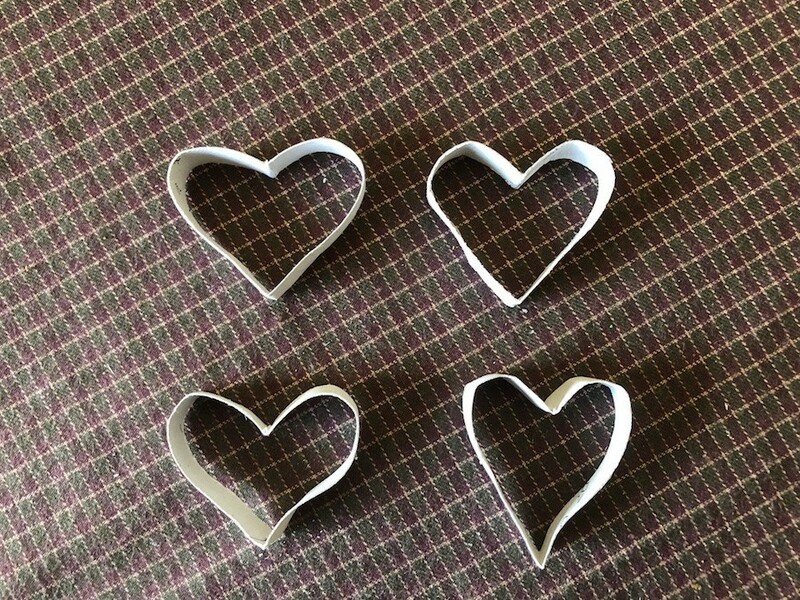 Now punch out 4 hearts from the glitter paper and cut out 1 stem. To make the clovers, glue down 3 hearts together with the stem going at the bottom. 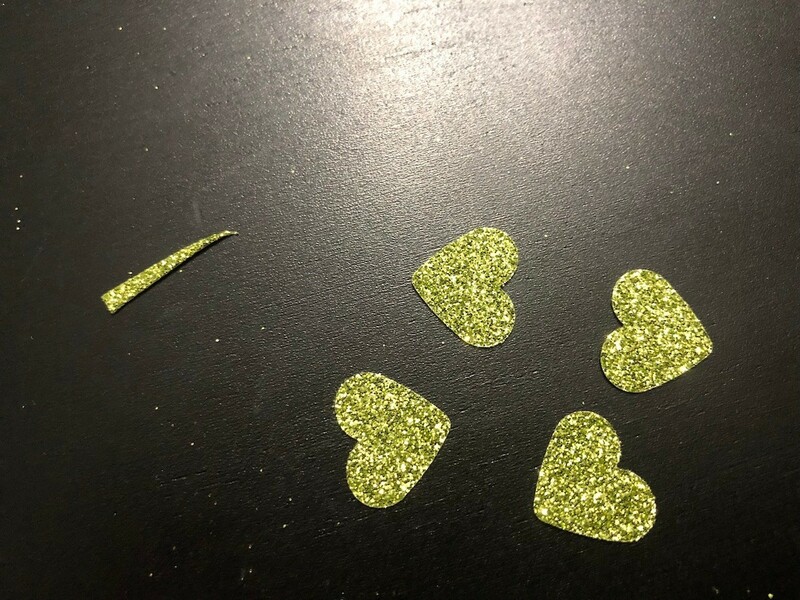 Then place the 4 glitter hearts together with the stem coming out the bottom for the four-leaf clover. 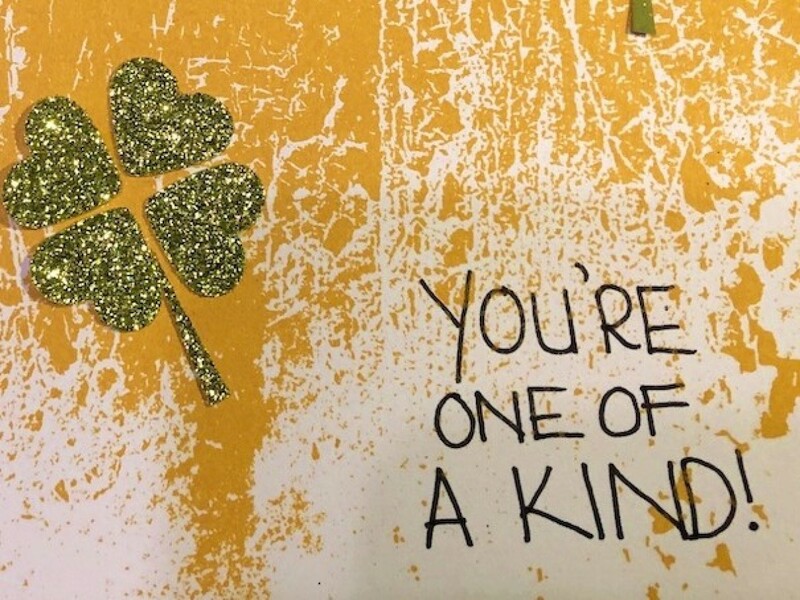 Write your message near the four-leaf clover. 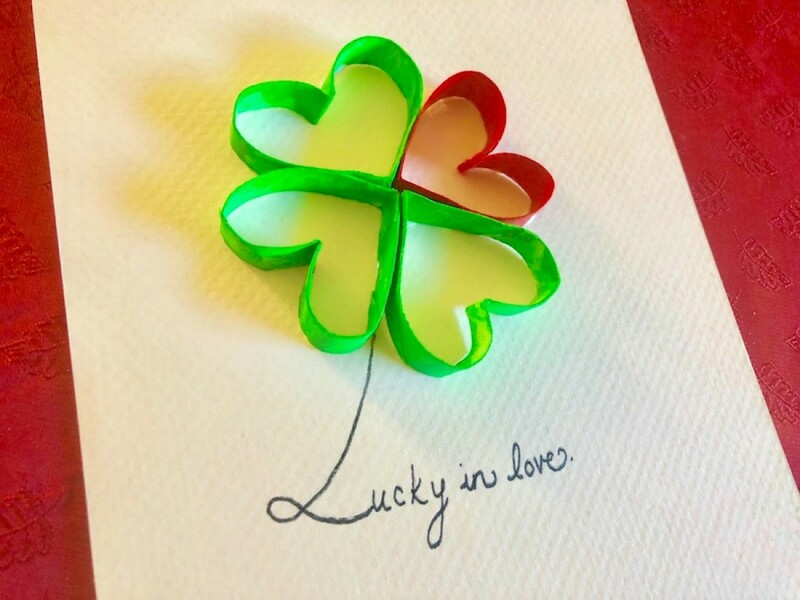 Ever notice how clover leaves look like hearts? 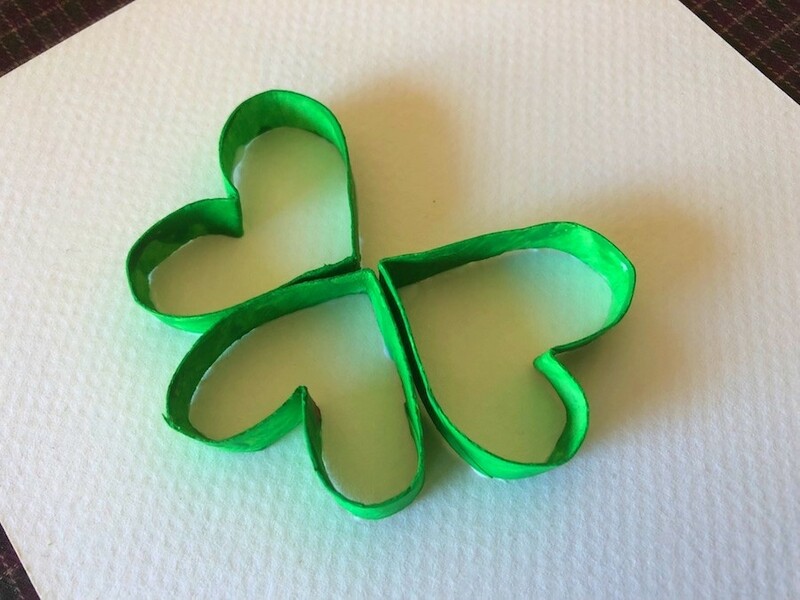 This is a cute card you can make with cardboard tubes from toilet paper and a bit of paint. 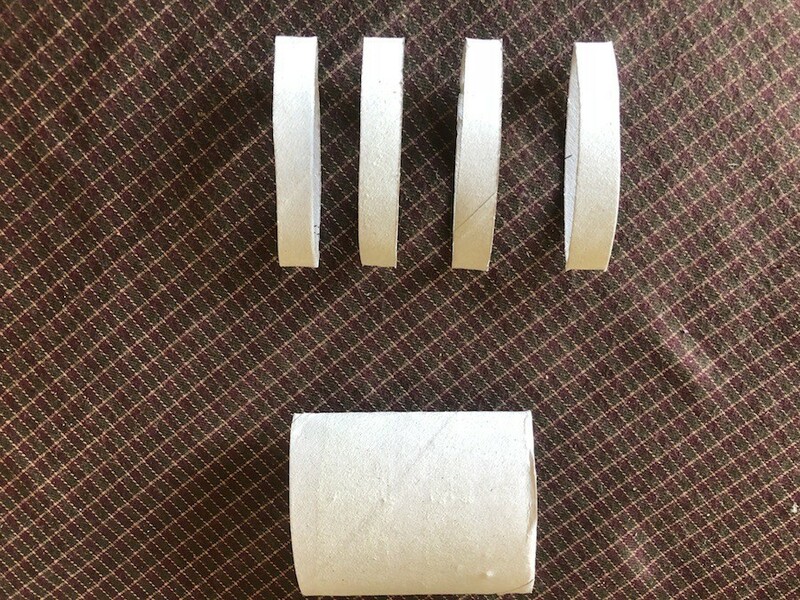 Press down on cardboard tube so the long edges have defined folds. 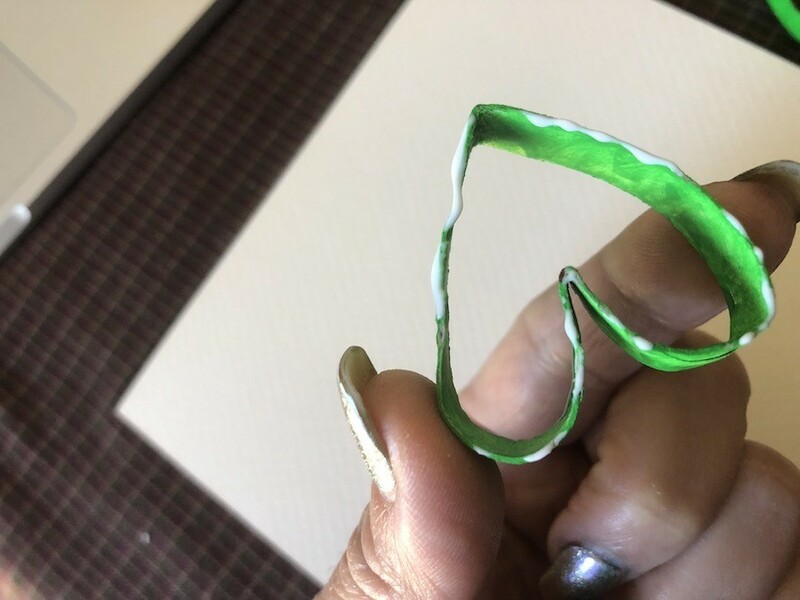 Cut off a little less than half of the tube. 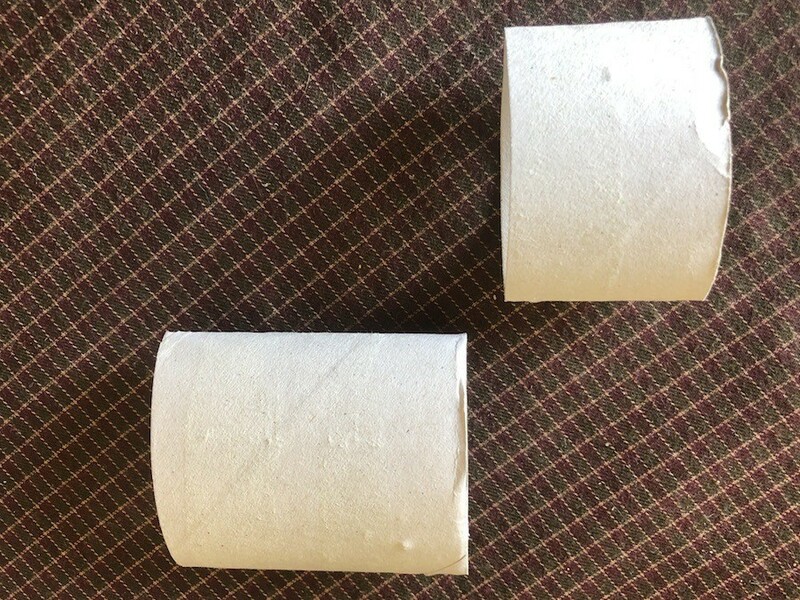 Cut the smaller section in half, then those two pieces in half again so you have four equal strips of tube. 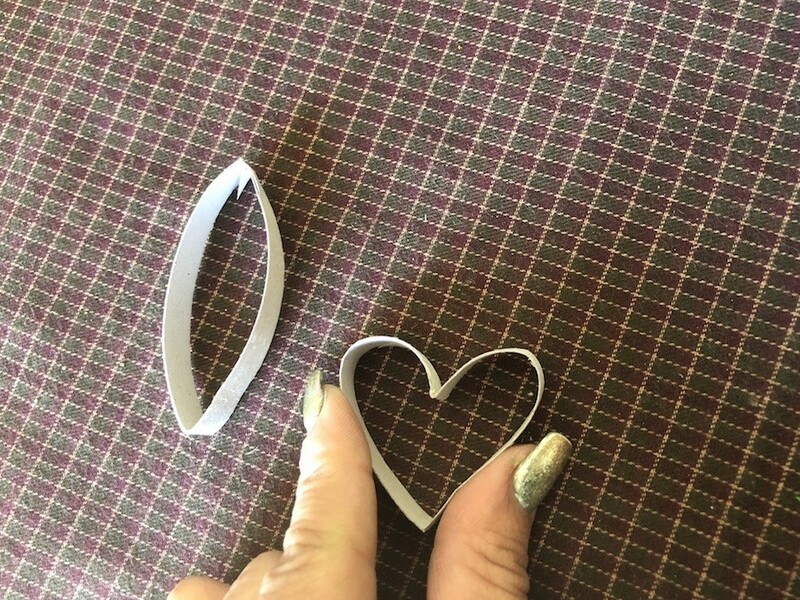 Poke one of the folded edges downward into itself to create a heart shape. Repeat with the rest of the tube pieces. 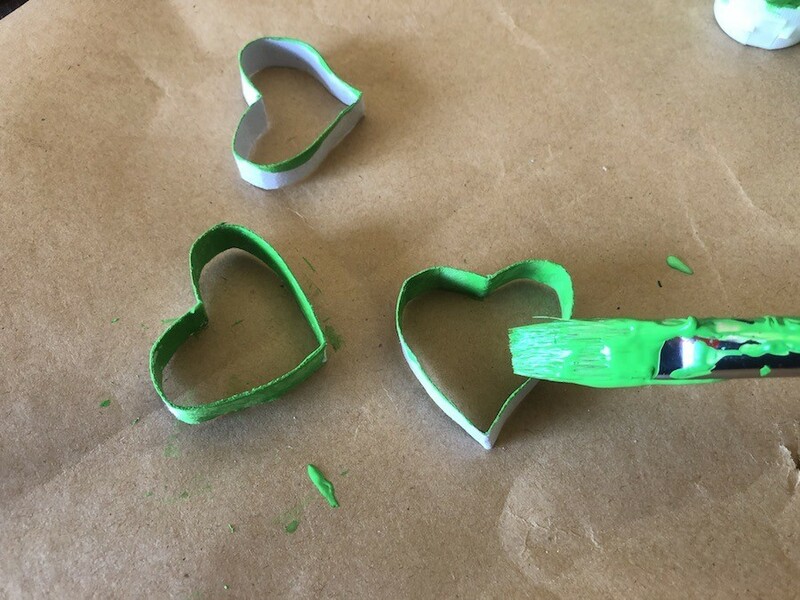 Paint 3 of the hearts green. 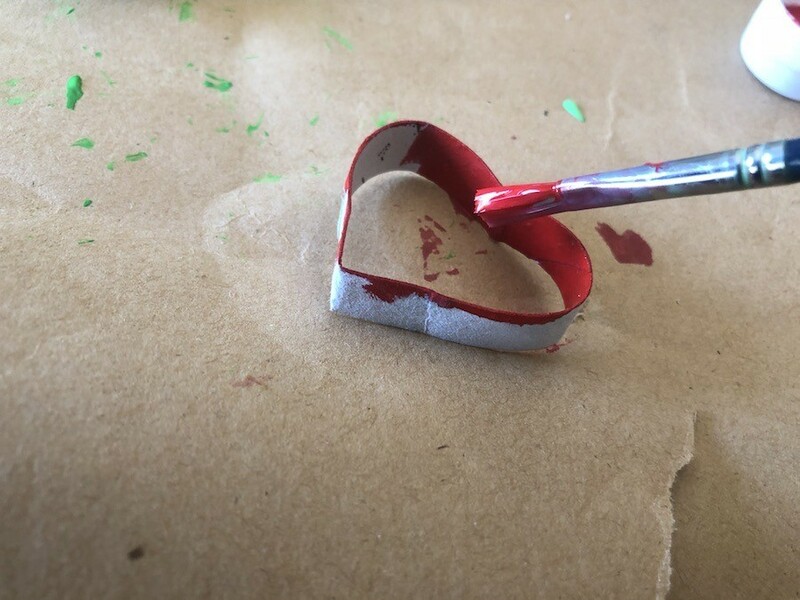 Paint 1 heart red. Allow them to dry. 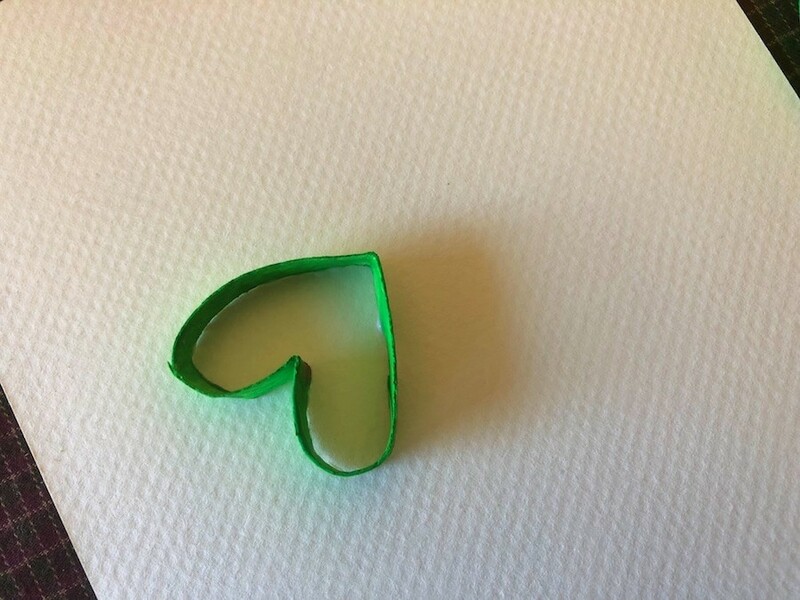 Dab a small amount of glue on the edges of a green heart. 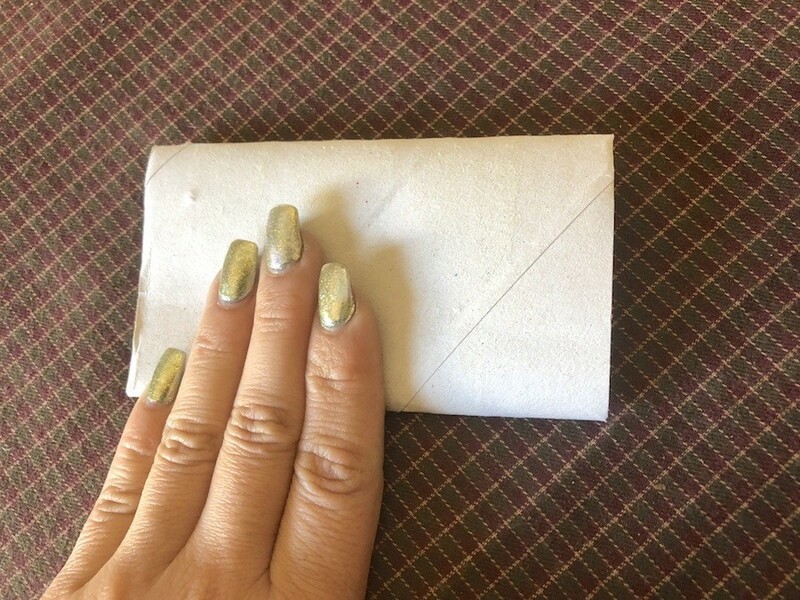 Press down onto the card stock. 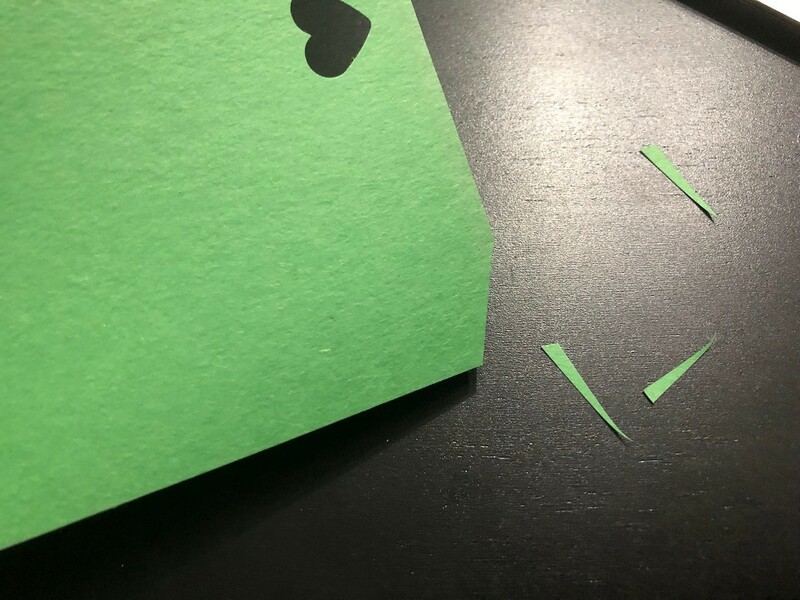 Glue the other 2 green hearts next to it. 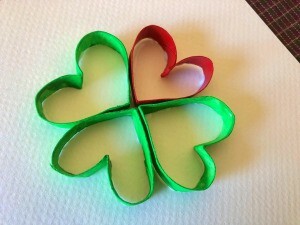 Glue the red heart at the top right to complete the 4 leaf clover. 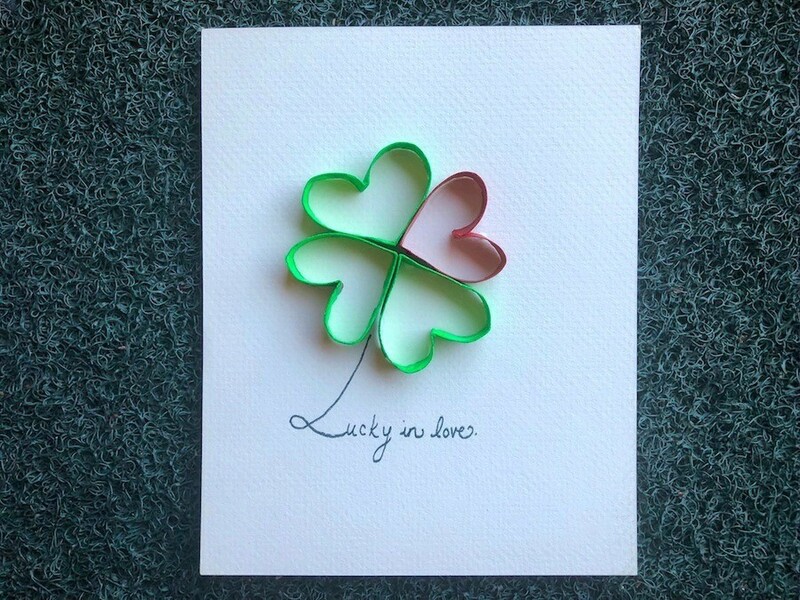 To make the stem and beginning of your sentiment, draw an elongated cursive L coming out from under the clover. 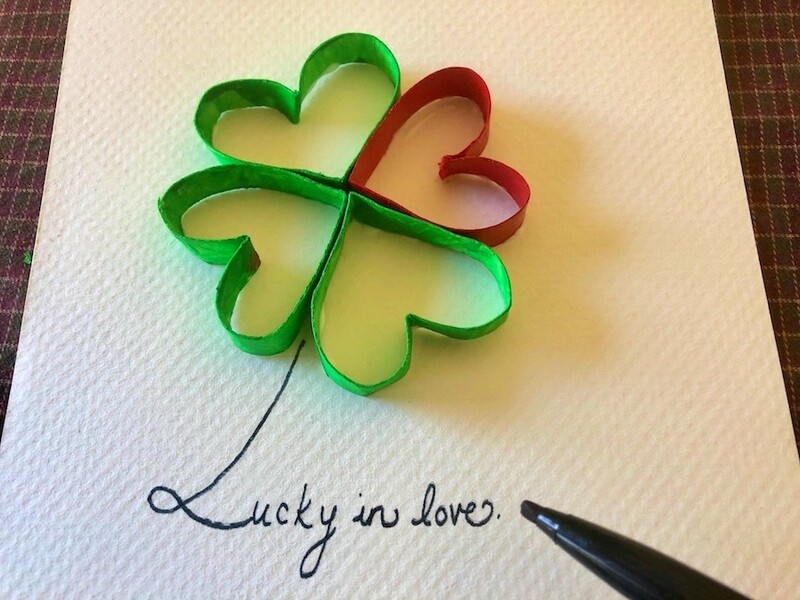 Continue to write "lucky in love". 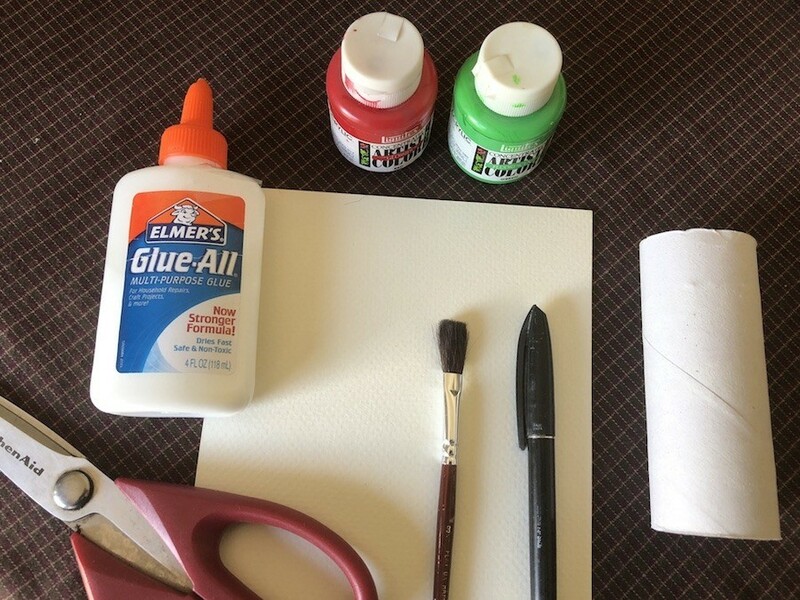 The glue will turn clear as it continues to dry all the way through.